In this episode of The Italian American Podcast, we talk with Fred Gardaphé, Ph.D., Distinguished Professor of English and Italian American Studies at Queens College/CUNY and the John D. Calandra Italian American Institute. Fred lost his father, grandfather, as well as his godfather to violence at a very early age and tells us the story of how that lead him to not only become a professor, but to become passionate about educating Italian Americans. In our Stories Segment, Dolores talks to Christian Piazza, director and producer of Waiting, a documentary that features three Italian Immigrants in New York. It’s a tale about second chances and giving up old habits to thrive in a new cultural environment. About our guest… Fred Gardaphé, Ph.D.
Fred Gardaphe is Distinguished Professor of English and Italian American Studies at Queens College/CUNY and the John D. Calandra Italian American Institute. He directs the Italian/American Studies Program at Queens and formerly directed the programs in Italian American and American studies at the State University of New York at Stony Brook. He is Associate Editor of Fra Noi, an Italian American monthly newspaper, editor of the Series in Italian American Studies at State University of New York Press, and co-founding-co-editor of Voices in Italian Americana, a literary journal and cultural review. He is past president of MELUS (2003-2006), the American Italian Historical Association (1996-2000), and The Working Class Studies Association (2008-2011). His edited books include: New Chicago Stories, Italian American Ways, From the Margin: Writings in Italian Americana and Anti-Italianism: Essays on a Prejudice. 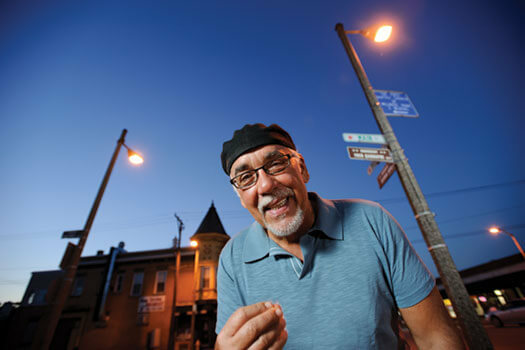 He has written two one-act plays: “Vinegar and Oil,” produced by the Italian/American Theatre Company in 1987, and “Imported from Italy,” produced by Zebra Crossing Theater in 1991. His study, Italian Signs, American Streets: The Evolution of Italian American Narrative, is based on his dissertation which one the Fondazione Giovanni Agnelli/Italian Ministry of Foreign Affairs award for 1993 dissertations) and was published by Duke University Press in 1996; it was named an Outstanding Academic Book for 1996 by Choice. He has also published Dagoes Read: Tradition and the Italian/American Writer, Moustache Pete is Dead! : Italian/American Oral Tradition Preserved in Print, Leaving Little Italy: Essaying Italian American Studies and From Wiseguys to Wise Men: Masculinities and the Italian American Gangster. Some of his short stories were translated and published as Importato dall’Italia by L’Idea Press, 2010. His most recent book is The Art of Reading Italian Americana, Bordighera Press, 2011. 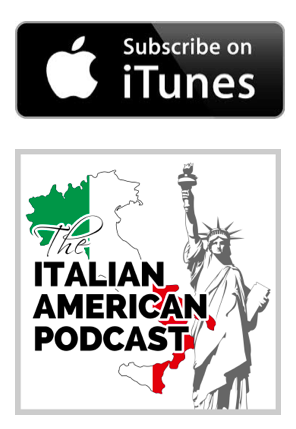 IAP 15: Gay Talese on growing up Italian American in Mid-20th Century America. Part 1 of 2.